While power metal is a rather ubiquitous heavy metal genre around the globe, it's nearly synonymous with Germany. 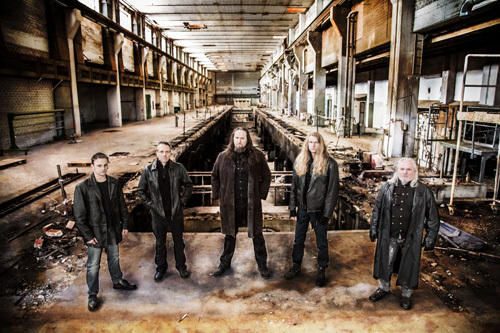 Hailing from the Olympic city of Munich, Stormhammer returns with their sixth album, Welcome To The End and, surprisingly, with a stable band line up. It's safe to say, Welcome To The End is essentially more of the same from Stormhammer: mostly galloping power metal with assertive, razor sharp, and sometimes thrashy riffs. There just more of it. With 12 songs, the album clocks at better than 64 minutes. I guess if you're going to be both constant and consistent in your chosen genre, you might as well offer your fans some power metal gluttony. After this, there's not much more to say. All the power metal musical suspects are here: twin guitar harmony in riffage and leads, a racing and pummeling rhythm section and, generally, clean melodic vocals. Vocalist Jurgen Dachl sings a little raw and rough, but remains harmonious. Unfortunately, in the mix he sounds like he's getting run over by the music. As for the songs, they are so similar as to simply run together in embarrassing redundancy. Riffs and gallop, riffs and gallop, chorus or two, solo or two, then more riffs and gallop. You get the picture. If there is a stand out song, I found it to be My Dark Side, with some lighter guitar parts and a more clear melodic vocal arrangement. Otherwise, from beginning to end, Stormhammer's Welcome To The End is simply hard charging and rather typical Teutonic power metal. If you like the band, their style, and the genre in general, you will like this album. I found it monotonous. 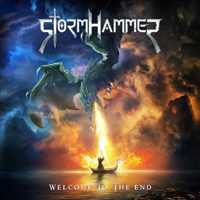 From beginning to end, Stormhammer's Welcome To The End is simply hard charging and rather typical Teutonic power metal.